Living Security is a cybersecurity training company, working to reduce cyber risk through impactful, human-focused training. Our science-based approach drives user engagement and reinforces positive security behaviors, integrates threat intelligence to train on the most relevant user-facing threats and delivers metrics that enable companies to measure the effectiveness of the program. Now, that's game-changing security awareness. Are You Ready to Get Your Employees Engaged With Security? Are you looking to scale your security awareness engagement and have a better way to capture and track metrics? 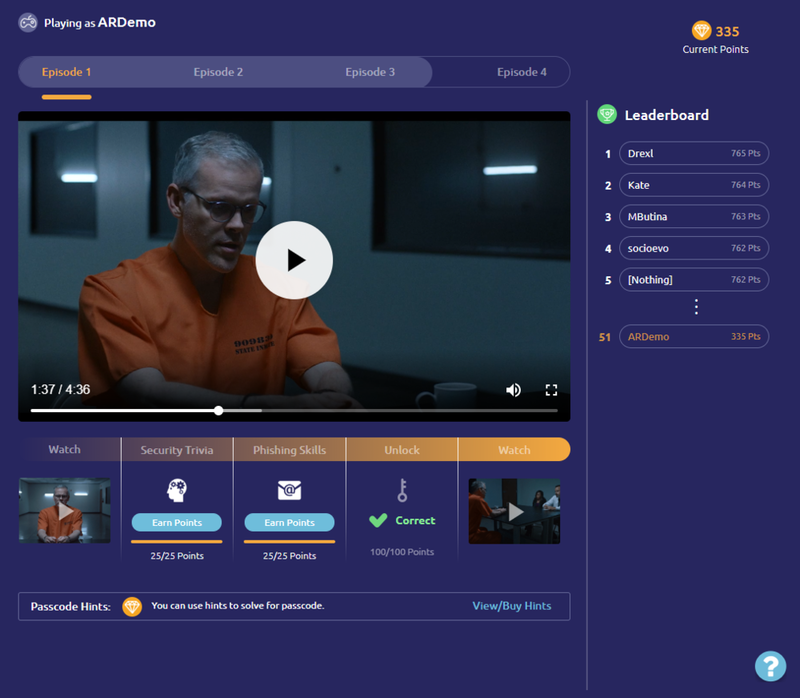 Introducing the Living Security Platform, a digital and gamified security awareness training platform that reduces the risk of high-impact cyber threats through immersive learning and intelligence-driven metrics. improving human cognitive functions such as reasoning and memory retention. 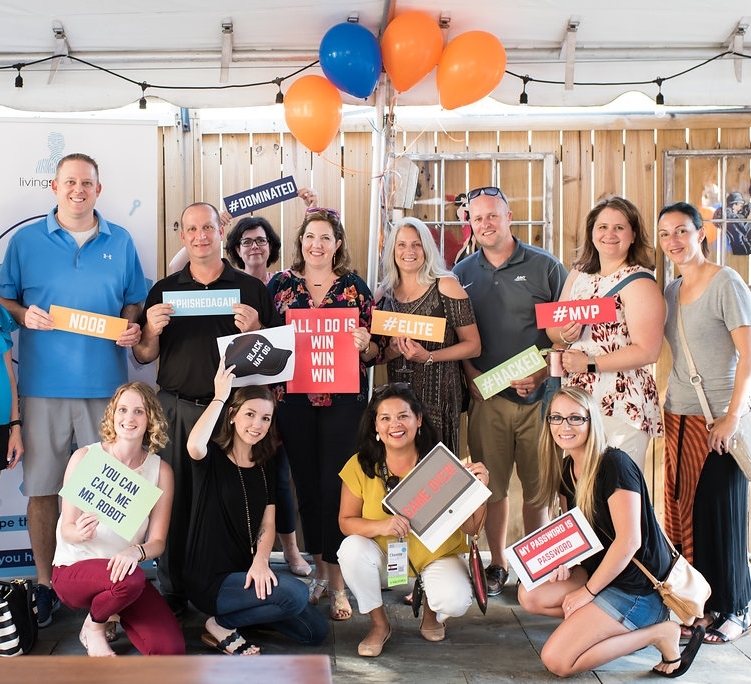 Living Security Escape Room's train employees on critical security awareness concepts while leaving a lasting positive impression of security on your employees. Living Security’s focal point is decreasing human error - the greatest cybersecurity risk enterprises face - through immersive and intelligence-driven training solutions. Our program uses science based techniques including immersive learning and gamification to engage employees and motivate behavior change. Our 4+1 methodology generates a human risk dashboard for greater insight and a holistic view in to your security awareness program. Intelligence-driven security awareness prioritizes the threats of today and tomorrow. Keeping pace with emerging threats means employees know how to respond when challenged. As a company, we reject the notion that compliant=secure. However, we realize the necessity for organizations to check the box, so for us, compliance is just the start. By cultivating a people-centric approach to cybersecurity awareness we help you build a program that people care about. Critics say that making employees want to take security awareness training is impossible, but that's not been our experience at Living Security! We have trained thousands of employees all over the world on critical cybersecurity concepts in a fun and impactful way. We survey our participants and 96% reported they would like to play our training again! Our programs train on the most current and relevant threats to employees' professional and personal lives. Sign up to be in the know on the latest news and exciting product offerings by Living Security! We're always looking for people passionate about people to join our team. Send us an email with your resume and let's chat!